Formulated for those who seek inner health and outer beauty, Silidyn Rejuvenate is scientifically proven to combat the signs of ageing. Silidyn Rejuvenate contains a clinically certified formula to replenish, regenerate and reinvigorate your body’s natural foundations. Ortho Silicic Acid, or OSA is part of the Silicon family, one of the world’s most abundant natural elements and the foundation for a healthy body. 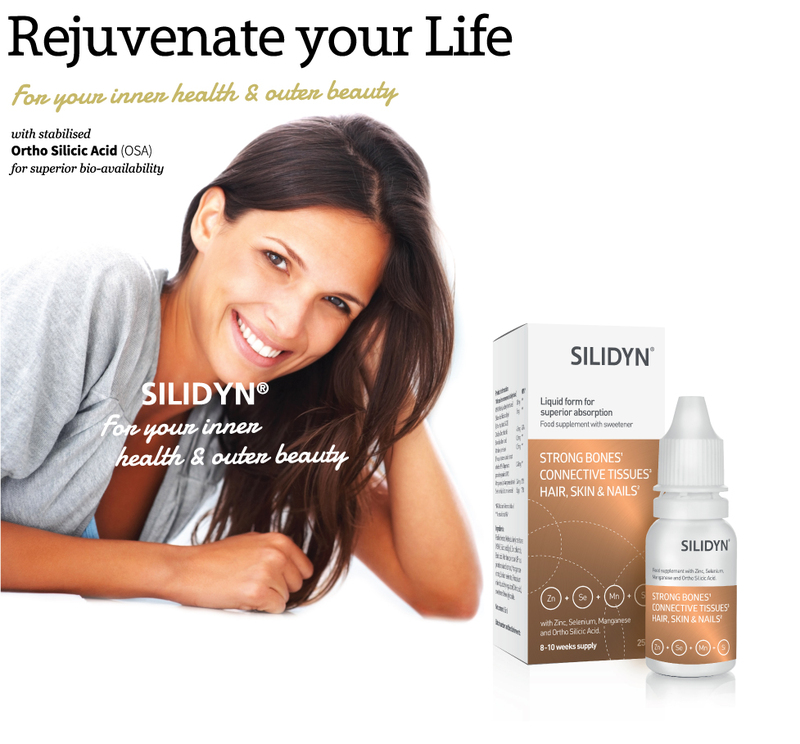 Make Silidyn part of your healthy daily routine! Please see our Hungarian distributor’s great new video….